When you purchase a new car you are provided with a warranty by the manufacturer for repairs and maintenance within a certain period and a certain mileage for example 3 years and 100 000 km. 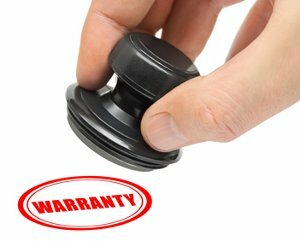 The manufacturers warranty only covers certain warranty items and you should read the warranty before you sign the purchase agreement. You have the option to wait for the car manufacturer’s warranty to expire and then buy extended car warranty insurance from a third party. It is recommended to purchase extended car warranty insurance while your car is new and you still have the warranty from the manufacturer. The reason is that your cost to purchase extended car warranty insurance is lower. You save money in the long term and you are covered for repairs to your vehicle that extend beyond the standard manufacturers car warranty. Most often a bumper to bumper extended car warranty insurance plan is recommended. This plan is the most expensive but it is comprehensive. It is seen as an extension of your standard warranty provided by the manufacturer and it will cover the same repairs including certain items in a mechanical breakdown not covered by the manufacturer. This plan does not cover wear and tear of your car. Wear and tear is most often linked to car trouble and it is often not clear if the problems are related to mechanical breakdown or wear and tear. Your safest option is to use an extended car warranty insurance plan that covers both and to get quotes from the different car warranty insurers. Let us get you car warranty cover quotes, it’s free and you are not obligated in any way. There are countless car insurance companies offering cheap extended car warranty insurance. You could be paying less for your auto extended warranty but you are most likely not covered for everything. Experts recommend that you refrain from purchasing cheap extended car warranty insurance as you will end up paying more in the long term for car repairs be it mechanical or wear and tear. Some questionable car insurance companies will deny your claim for mechanical breakdown as they will say that the cause is wear and tear. It is best to prepare yourself right from the beginning. It is inevitable that you will have car trouble within a few years. Most extended car warranty insurance providers include the manufacturer, dealer or an independent insurance company. If you purchase your extended car warranty insurance from the manufacturer you will buy into the same service plan as you did when you purchased the car. Dealers can be pushy and provide you with false information in order for you to purchase insurance from them. You should research independent insurance companies as they do not always provide you with what you require. If you want extended car warranty insurance it is best to research the best companies online.